Woman Submit! 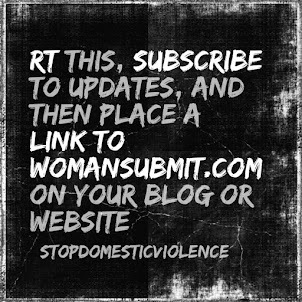 Christians & Domestic Violence: What is Domestic Abuse? Marital abuse and domestic violence is nothing less that war waged in the battlefield of what should be a sanctuary and haven to everyone--the home. Moreover, it is a shameful, sometimes fatal, and secret war. What Angelina Grimke wrote of slavery in the 19th Century, applies just as much to domestic abuse in the 21st. “TELL IT NOT in Gath publish it NOT in the streets of Askelon….” They never suspected that many of the gentlemen and ladies who came from the South to spend the summer months in traveling among them were petty tyrants at home. What is domestic abuse? Domestic abuse is WAR (both psychological and physical warfare) waged in the home, usually in secret, against members of one’s immediate family, most especially against wives and daughters. 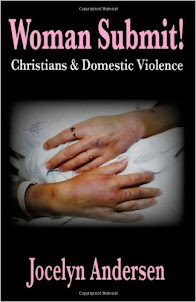 Does domestic abuse and violence really take place within professing Christian families? Google currently lists over 400,000 entries for the search term “Christian Domestic Violence Seminars.” Does that answer the question? Enough domestic abuse takes place within professing Christian homes that addressing the issue has become a popular cause within the Christian community. But all the seminars in the world will not change a thing in regards to domestic abuse and domestic violence until the doctrine of female submission to male leadership is dealt with,a that is what lies at the very heart of the issue and is what perpetuates it. It is a doctrine of systematic, institutionalized, discrimination that not only perpetuates abuse but also prevents Christians from responding compassionately, biblically, and effectively to victims of abuse. Jesus said, "You shall know them by their fruits." What is the fruit of traditional-role-religion and complementarianism? Without qualification, the answer to that question is many abused and battered women—dead women—lot's of them, centuries of them. The adverse influence of such dogma on the world views, psyches and everyday lives of Christian women, children, and men is pronounced. ... 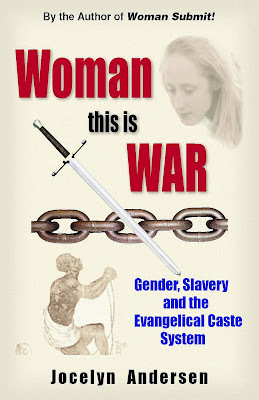 ...This article is an excerpt from the book, Woman this is WAR! Gender, Slavery, & the Evangelical Caste System, by Jocelyn Andersen.